The first steam road roller built by Marshalls was sold to the newly created Gainsborough Urban District Council. The original slide valve design was replaced by the Class S steam road roller in 1924 which had piston valves. 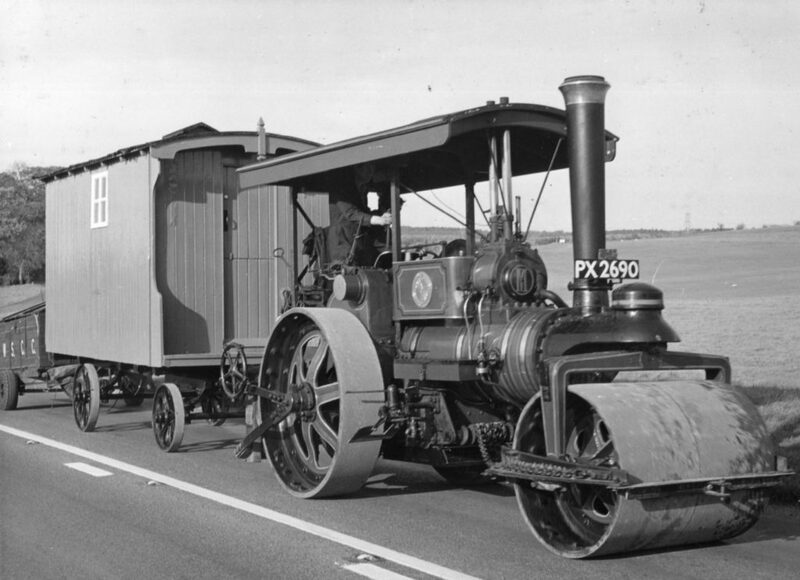 The photo above shows a typical road crew with a Class S steam roller complete with a living van and trailer.